Why does everybody walk up to the door then turn around and leave?
" 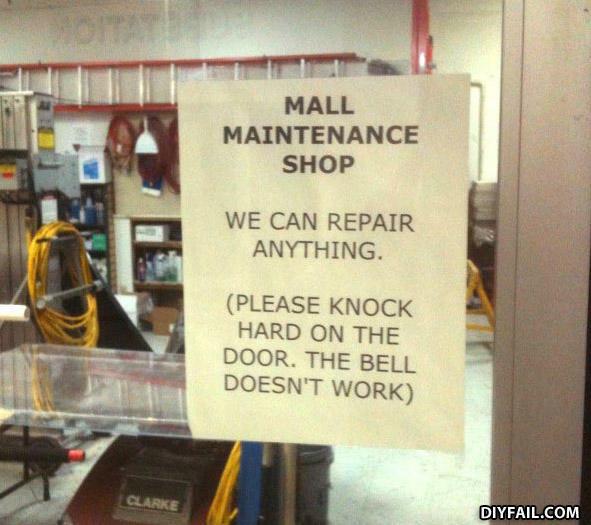 We CAN repair anything, we just choose not to. Yes, we have power. Have a nice day :) "
This oddly reminds me of Fallout 3. Hey you've got the most beautiful f*cked up teeth I've ever seen.